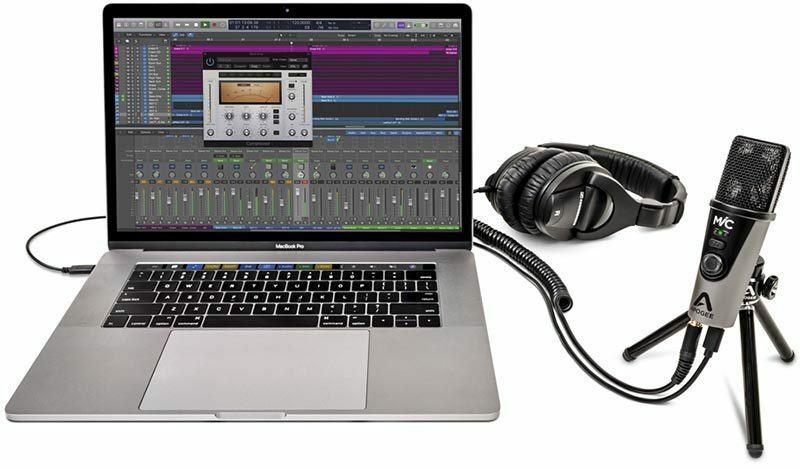 Apogee and IK Multimedia this week separately announced availability of new and improved versions of their digital USB microphones, the MiC Plus and iRig Mic HD 2 respectively, for Mac, iPad, and iPhone. While plug-and-play microphones with analog-to-digital conversion aren't always as good as professional XLR microphones, the sound these deliver is considered similar to a top studio condenser microphone. Both the MiC Plus and iRig Mic HD 2 now feature a built-in headphone output that can be used for monitoring the audio signal during recording on the latest iPhone and iPad models or other compatible devices. 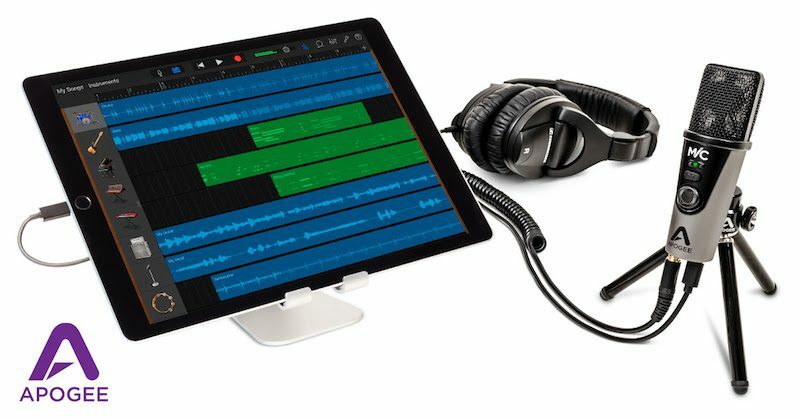 Apogee says the MiC Plus has input "blend" monitoring that allows users to hear their input signal without any distracting latency, and mix that signal with the previously recorded track(s). MiC Plus has improved dynamic range and can record much louder sound sources compared to the original version. The microphone's audio quality is up to 24-bit/96kHz with 46dB of mic preamp gain. Apogee's microphone has a professional cardioid condenser capsule and is advertised as being small enough to fit in your pocket. IK Multimedia's iRig Mic HD 2 also features audio quality up to 24-bit/96 kHz, a gold-sputtered electret condenser capsule, and an integrated low-noise preamp. It has a handheld design with a tripod included. 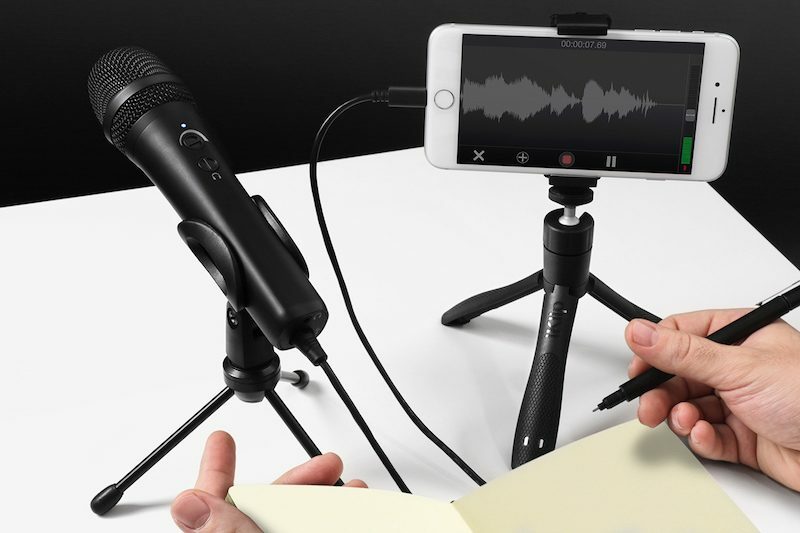 Both the MiC Plus and iRig Mic HD 2 are certified by Apple under its Made for iPhone program, which means they work right out of the box with all iOS devices with a Lightning connector, as well as with Mac and PC. MiC Plus now includes a USB-C cable in the box, in addition to the Lightning and USB-A cables that shipped with the original version. iRig Mic HD 2 is bundled with Lightning and USB-A cables and $170 worth of software. iRig Mic HD 2 is available now from IK Multimedia's online store and from authorized dealers worldwide for $130 USD, while the MiC Plus is available November 15 from Apple and Apogee dealers worldwide for $249 USD. Seems like a more versatile and sustainable investment would be a decent dedicated digital audio interface that allows you to plug in any mic you may want to buy or already have. They make some pretty small audio interfaces now, and pick whatever microphone you want, big or small, cheap or expensive. Quite possibly the worst connector ever conceived. I've refused to purchase ANYTHING with uUSB for years.